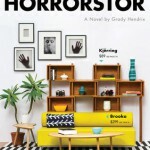 Horrorstör by Grady Hendrix — Adult horror. I picked this up based on a recommendation from Lauren James. Horrorstör is a totally unique book, designed to look like an Ikea catalogue. A group of employees in a furniture warehouse stay in the store overnight to investigate some strange goings-on. The story switches rapidly from satire to full-on horror, and I thought it was really clever. 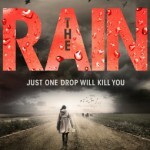 The Rain by Virginia Bergin — YA sci-fi. Narrated by a teen girl as the UK is struck by killer rain (which means killer tap-water — nothing to drink or wash with), this was scarily believable, but also surprisingly humorous. At first, I wasn’t sure the light-hearted narrative matched the subject matter, but I ended up really liking it. 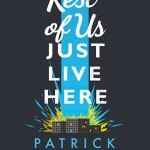 The Rest of Us Just Live Here by Patrick Ness — YA fantasy / contemporary. In a world where YA cliches like romantic vampires or ‘dying beautifully of cancer’ are the norm, the focus of the story is on a group of teens who are never the Chosen One. Like all Patrick Ness novels, it’s original and emotionally intelligent. Loved the message that all lives are worthwhile, and you don’t have to be able to save the world to be important. 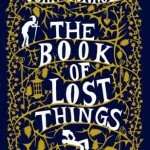 The Book of Lost Things by John Connolly — Adult fantasy. A moving tale about a twelve-year-old boy who gets trapped in a fantasy world where fairytales are real and brutal. It’s about grief, jealousy, love, bravery and much more besides, and I thought it was brilliant. 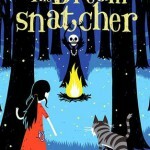 The Dreamsnatcher by Abi Elphinstone — MG fantasy. Full of magic and adventure, The Dreamsnatcher is about a gypsy girl and her wildcat fighting against dark magic. I rarely enjoy MG books as much as YA (not enough kissing 🙂 ), but I can see why this is much loved. 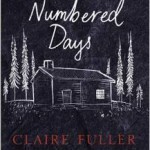 Our Endless Numbered Days by Claire Fuller — Adult literary fiction about a young girl who’s taken to live in a remote forest by her survivalist father. Though I thought it had a slow start, the plot really picked up in the second half, and the ending was astonishing. 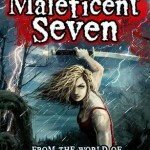 Tanith Low in the Maleficent Seven, Skulduggery Pleasant #7.5 by Derek Landy — YA fantasy. I finished the Skulduggery Pleasant series last month, but I spotted this standalone novel from the same world and just had to read it. Reading it out of order meant it didn’t have the impact it might have done, but I still loved the extra insight me it gave me into well-known characters. 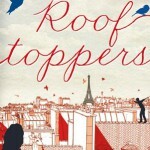 Rooftoppers by Katherine Rundell — MG historical. I’ve seen lots of love for Rooftoppers on Twitter, and now I’ve read it I can understand why. A tale of a girl searching Paris for her missing mother, it’s beautifully written and very moving. 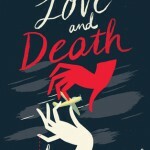 The Game of Love and Death by Martha Brockenbrough — YA historical romance in which a personified Love and Death fight over a young couple. If the couple give themselves up to love, Love wins the ‘Game’; if they don’t, Death wins and one of the couple dies. I didn’t quite buy that the main characters were teenagers, but thought it was very well written. 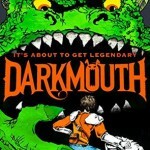 Darkmouth by Shane Hegarty — MG fantasy about a boy who’s the last in a line of monster-hunters, but isn’t very good at his job. Lots of fun and an easy read. 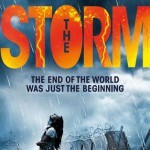 The Storm by Virginia Bergin — YA sci-fi and sequel to The Rain. The main character, Ruby, is just wonderful, and I’d happily read more books about her. Really enjoyed this duology. 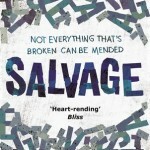 Salvage by Keren David — YA contemporary about siblings who were put separately into care, experienced very different childhoods, and are reunited many years later. Thought-provoking stuff. 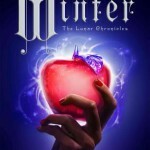 Winter, The Lunar Chronicles #4 by Marissa Meyer — YA sci-fi. One of my favourite books of the month. You can read my full review here. 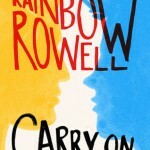 Carry On by Rainbow Rowell — YA fantasy, and sort-of-spin-off of Fangirl. (The connection is very meta, but they’re well-known books, so you might know already!) I found the first half of Carry On rather slow, but adored the second half. Simon and Baz are fantastic characters, and I loved their romance. I was also really impressed with the world-building — Carry On is much more than Harry Potter fan-fiction, and there was lots more going on in the story than the (adorable) romance. What books did you enjoy in November? Yay, The Rain! Absolutely loved those books, Virginia Bergin is super talented. Like you I wasn’t sure at first but it’s a genius blend of humour and horror. I’m really looking forward to reading Carry On and Winter, too. You’ve been busy Kendra! You’ve read loads!! Yes! Will definitely be looking out for Virginia Bergin’s next book. And I have been reading *loads* recently — ironically, the busier my day job, the more I read, as I storm through audio books!